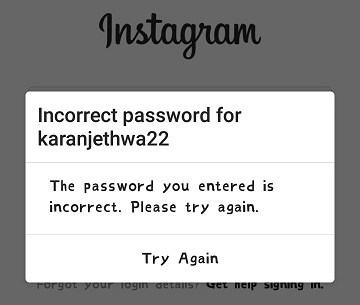 Instagram Password Bhul Gaye Hai - Instagram Password Kaise Pata Kare - Pakka Solution Hindi - Kaise Kare Solutions In Hindi ! Instagram password bhul jane par password recover kaise kare ? Facebook ke baad photo and video sharing ke liye instagram world's second number biggest social network hai. Most of log apne mobile and computer me instagram ka use kar rahe hai. or instagram bhi day by day apni best service and quality ke liye popular ho raha hai. Ab itne big network par kuch mistakes hone ke chances bhi badh jate hai. 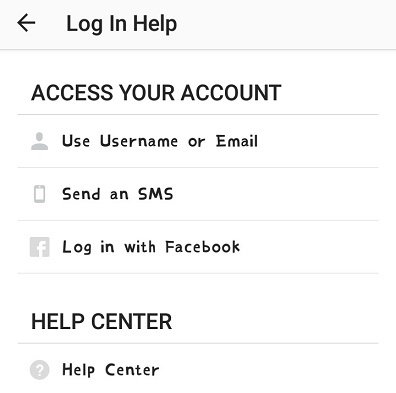 Agar problem instagram ki taraf se hoti hai toh unki technical team jald se jald problem ko solve kar deti hai. But agar hamse kuch mistakes hoti hai toh uske liye bhi instagram help karne ke liye 24 hours ready hai. 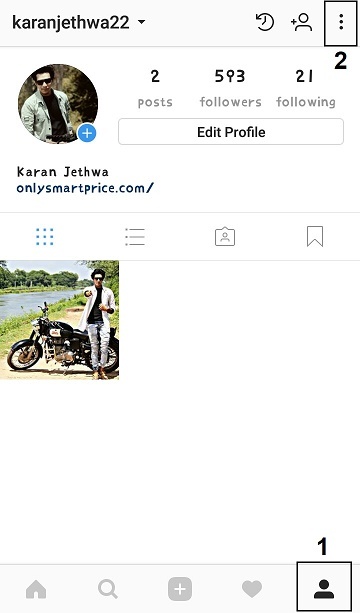 Ho sakta hai aapka instagram account delete ho jaye, Instagram account hack ho jaye Ya phir galti se instagram ka password bhul jaye toh in sab mistakes ko thik karne ke liye instagram full support karta hai. 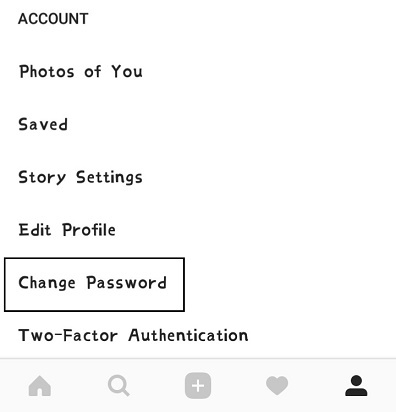 Instagram password recover and password change ke bare me aaj ham puri detail me baat karege. Instagram se related or koi important information jana chahte hai toh niche di hui helpful posts padh sakte hai. 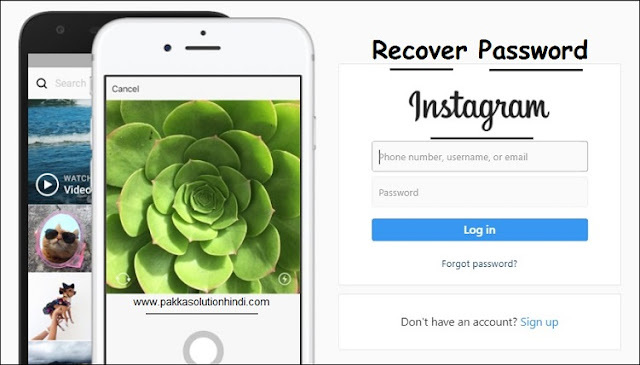 How to recover instagram password in hindi. 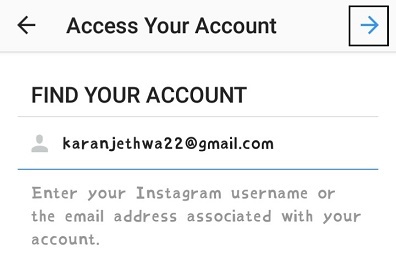 Agar aap apne instagram account ka login password bhul gaye hai or apne password ko recover karna chahte hai toh aaj ki yeh post aapke liye helpful saabit hogi. 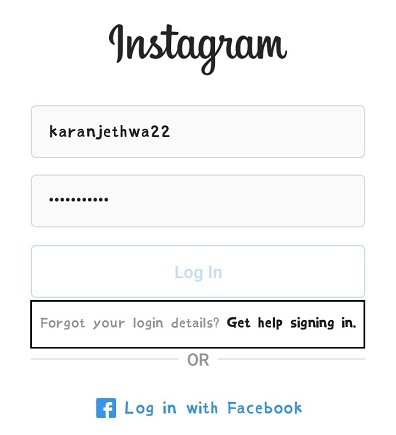 Instagram password ko reset karne ke liye niche di hui process ko step by step follow kare. 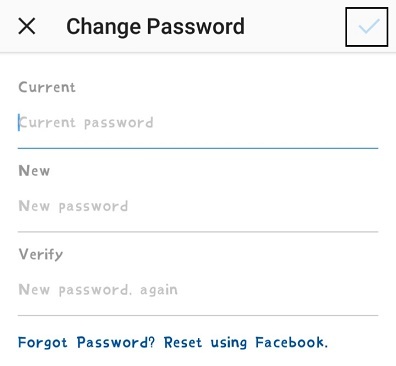 Yaha par ham instagram mobile application se password reset kar rahe hai. Agar aap computer ya website se instagram password reset karna chahte hai toh same yahi process se kar sakte hai. Sab se pehle instagram application ko open kare. Aap password bhul gaye hai so obviously login nahi kar pa rahe hoge. or jaise screenshot me bataya hai us tarah ka Incorrect Password ka message show hoga. So now Forgot Your Login Details ? Get Help par click kare. Iske alawa agar aap direct facebook me login kar ke password recover karna chahte hai toh Log In With Facebook par click kar sakte hai. (Note : Log In With Facebook use karne ke liye instagram account aapke facebook account ke saath connect hona chahiye). Ab account access karne ke liye 3 options show ho rahe hoge. Teeno me se aapko jo bhi method perfect lage uska use kar ke new password set kar sakte hai. 1st Method me apni email id ya username fill karna hai. 2nd Method me Mobile number enter kar ke password recover kar sakte hai. 3rd Method me Facebook par login kar ke password set kar sakte hai. Yaha diye hue sabhi methods ekdam easy hai. So aap kisi bhi ek method ka use kar lijiye. Example ke liye maine yaha ek screenshot share kiye hai jisme aap dekh sakte hai ki Email se password recover kar sakte hai. Instagram password kaise change kare, Password kaise dekhe Ya Password kaise jane ? Password bhul jane par upar di hui method ka use kar sakte hai but agar old password ko change karna ho toh kya kare ? Password change karna simple kaam hai bas ab aapko niche diye hue kuch simple steps follow karne hai. Instagram app ko open kare Phir Profile icon par click kare. Ab aapko apni full profile show hogi. Yaha sab se upar ki tarah right corner me 3 dot options hoge. Us dot options par click kare. 3 dots par click karte hi account se related bahut se options show hoge. Un options me se Change Password wale option par click kare. Change password click karne par 3 blank box show hoge. 1st box me apna currect password enter kare. 2nd and 3rd box me aap jo new password set karna chahte hai woh enter kare. Password enter karne ke baad finaly upar ki taraf Right corner me Right Tick hoga. Us Right Tick par click kar dijiye. So is tarah finaly aapka new password successfully add ho jayega. Aaj ek post me hamne instagram se related 2 bade questions ko cover kar liya hai. Instagram se related kisi or question ke bare me solution pana chahte hai toh hame comment kar ke bata sakte hai. New post ke regular updates paane ke liye blog ko subscribe zarur kare. And post pasand aaya ho toh social sites par share kare. Milte hai apni next post mein tab tak Take Care ! fir se new account banaye.